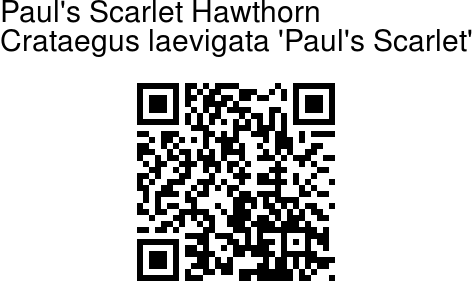 Paul's Scarlet Hawthorn is a small, rounded deciduous thorny tree with thorny branches and lobed, glossy leaves. Leaves are glossy, dark green, oval to elliptical, with three to five rounded lobes and a toothed margin. In the blooming season, branches are smothered with fully double, light red flowers. Flowers are followed by bright red fruits in autumn. 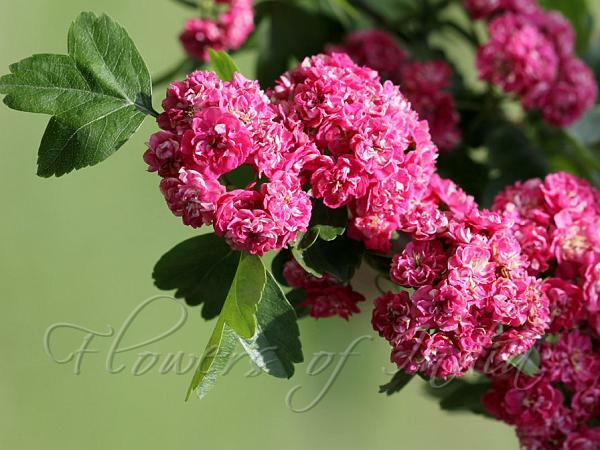 Paul's Scarlet Hawthorn is native to Europe, cultivated in Kashmir. Photographed in Iqbal Garden, Srinagar, Kashmir.